As more radiopharmaceuticals garner regulatory approval and are subsequently reimbursed, more facilities for the production of radiopharmaceuticals will be needed. Setting up a successful radiopharmaceutical production facility can be a daunting task, but careful consideration during the planning stages can help ensure an efficient operation. In this regard, important questions include whether the facility will focus solely on research agents, if the production of commercial radiopharmaceuticals will take place, and whether agents for targeted radiotherapy will be produced. Properly trained staff and a detailed quality assurance system are also keys to success. National Archives and Records Administration. Office of the Federal Register. Electronic Code of Federal Regulations. 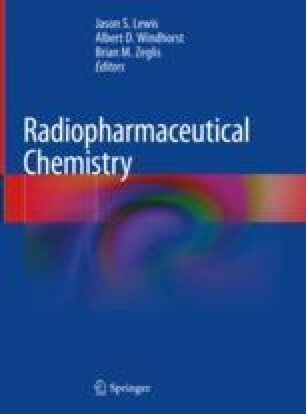 Current good manufacturing practice for positron emission tomography drugs. Sect. Part 212. https://catalog.data.gov/dataset/electronic-code-of-federal-regulations. National Archives and Records Administration. Office of the Federal Register. Electronic Code of Federal Regulations. Current good manufacturing practice in manufacturing, processing, packing, or holding of drugs; General. Sect. Part 210. https://catalog.data.gov/dataset/electronic-code-of-federal-regulations.